Your health and well-being is an important part of staying healthy spiritually. We have an active Health Ministry Team, facilitated by our Faith Community Nurse, Joanie Holm, which meets the first Monday of the month at 5:30p.m. Joanie oversees a number of care ministries and support groups to serve our church and wider community. Contact Joanie at jholm229@gmail.com (unless noted otherwise) if you are interested or have questions. 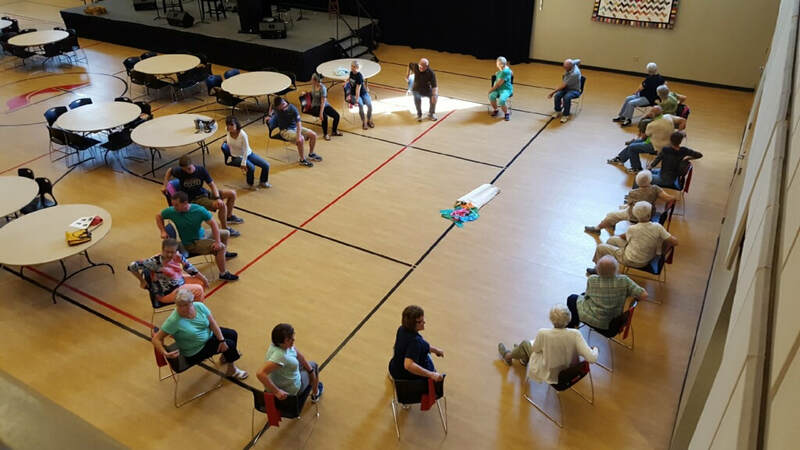 This is a terrific exercise and fall prevention class for seniors offered in the Community Life Center on Monday, Wednesday, and Fridays from 11 - 11:30am. There is also a good sized "walking" group that meets to walk about 30 minutes before exercise begins. This group is led by Brenda Hieb RN, for those who are experiencing grief from the recent loss of a loved one. The class currently meets on the 2nd & 4th Wednesday of the month at 6:45 in the Conference Room. Please contact Brenda at 691-9395 or bfkhieb@gmail.com for more details. Volunteers meet and plan activities regularly with church members who are not in the nursing home but may need some extra care or attention during times of physical challenges or grief.